When maximum efficiency and low production costs are key, the FB-Line is the answer. 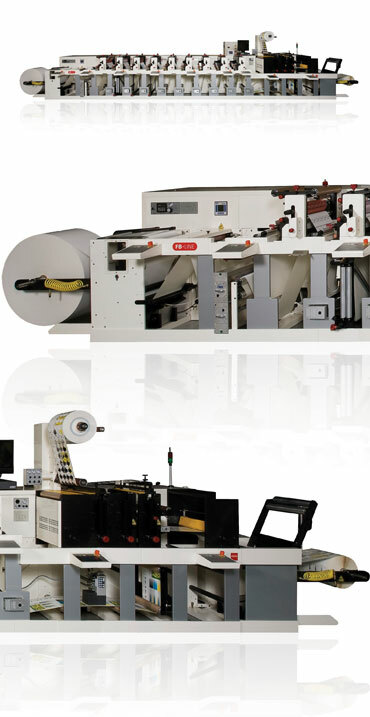 These reliable narrow-web presses are based on modular flexo technology for easy configuration. Including screen and hot foil Drop-In features to increase your printing options at a very affordable price. Available in 10”, 13”, and 16” web widths, FB-Line presses have a maximum web speed of 750 feet per minute, making them the fastest in narrow-web industry. They are exceptionally straightforward to make-ready and operate, enabling fast set-up.